If fossils were formed a few thousand years ago, why are they still here? 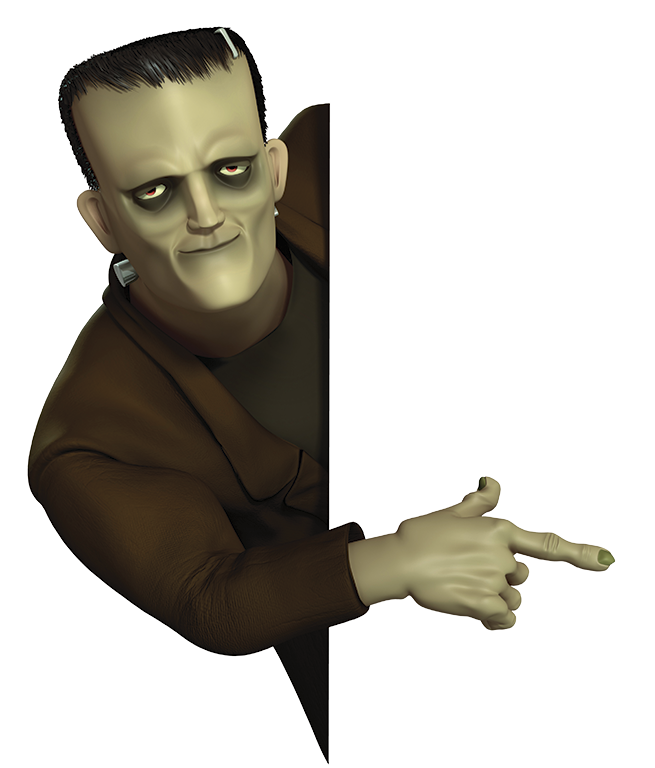 In Mary Shelley’s book, Frankenstein, Dr. Frankenstein pieced together a monster from old body parts, zapped it with energy, and brought it to life. In the 1931 movie based on the book, after the monster was brought to life, Dr. Frank­enstein excitedly yelled the famous words, “It’s alive!” You might be tempted to believe that such a thing is possible, or that such a thing has already happened—that life has come from non-life. The theory of evolution is taught as fact in school textbooks that are used across America. This is because many times, they are written by people who do not believe in the Bible’s account of Creation. Abiogenesis or spontaneous (spawn-TAIN-ee-us) generation (the belief that life can come from non-life) had to happen in order for evolution to get started. So clearly, life can come from non-life, since "Darwin’s evolution is a fact," right? Not even close. If you were to look up the definition of a scientific “law” in the dictionary, you would find that it does not have exceptions. That means that it is always true—not just some of the time. That means that there has never been any example from science that goes against what a scientific law says. So what do laws of science have to do with life? There is a very important, basic law in science, known as the Law of Biogenesis. It says that in nature, life only comes from other life, and those living creatures have to be of the same kind. For example, living birds must come from birds; and those birds have to be of the same kind. 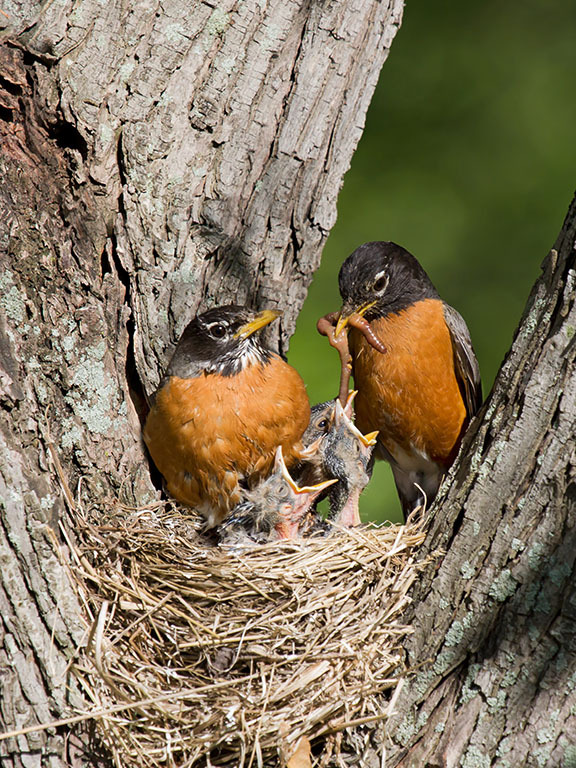 Robins come from robins—not hawks. This important scientific truth totally disproves the theory of evolution. Evolution needs life to come from non-life in the beginning since evolutionists do not want to believe that God created life. The problem is that there is no scientific evidence which says that such a thing could happen. On the contrary, all of the evidence says that it cannot! And what’s more, evolution says that all of the kinds of life on Earth came from other kinds of life, starting with a single cell, billions of years ago. But again, according to the Law of Biogenesis, that cannot happen. Evolution cannot happen. Humans could not have come from an ape-like creature, or any other kind of creature, since such a thing would not be the same kind as a human. Some evolutionists have realized that life had to come from other life. They realize that it could not have just popped into existence, but they do not want to consider God. They believe that if evolution is true instead of Creation, there should be other living creatures somewhere in space that are probably even smarter than humans are. The show “Star Trek” explores this idea. 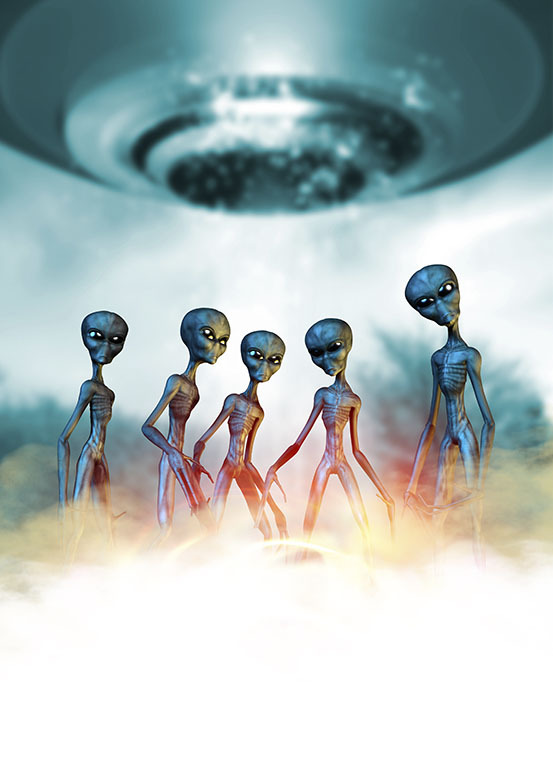 Instead of believing in God and the Bible, they believe that aliens could have brought life to Earth. This belief is known as “directed panspermia” (pan-SPIRM-ee-uh). The problem is that there is no evidence that aliens even exist, much less that they brought life to Earth, or even could if they wanted to. Also, even if life came from an alien planet (and it did not), the life on that planet had to come from somewhere, too! Evolutionists believe that the laws of science would apply there as well. So evolutionists must still explain where life came from. Science is based on evidence, and there is no evidence for the existence of aliens. So, directed panspermia is unscientific. If we look at the scientific evidence and think about it, we see that, in nature, life always comes from other life. Based on the evidence, we can see that there had to be Someone that was not “in nature” that started life—Someone super-natural. According to the Bible, that Someone is God. He created life and commanded it to reproduce “according to its kind” (Genesis 1:11,19,20,24; 2:7). In fact, He wrote the Law of Biogenesis, along with every other law of science (Job 38:33). God is the one option that the evidence supports. Not aliens. Not spontaneous generation. God—the Giver of life (Acts 17:25).